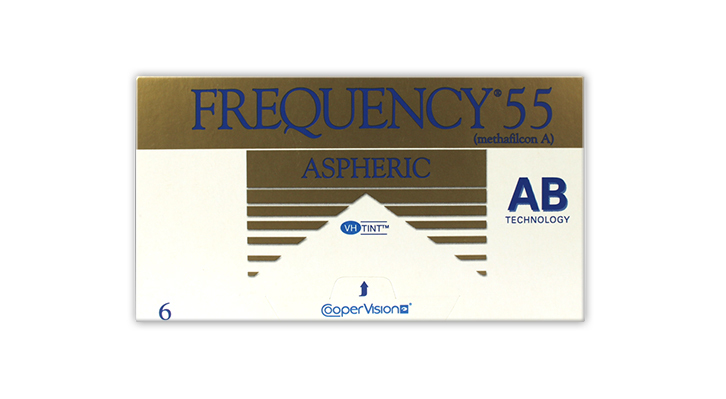 Frequency 55 Aspheric contact lenses by Coopervision. Precision crafted using material that is highly resistant to deposits allowing for long hours of comfortable wear. Ive found these really great, rarely cause any discomfort,folding or break at the edges like some lenses do. I had some lenses from a well known high street chain which dried up towards the evening or the slightest bit of wind. These are so much better and i can cycle wearing them. Great value for the quality. I�ve been using these for a few years, and I can honestly say that I�ve never had any problems with them, and even after a month�s use they are still in good condition.